Wonderful graphic design by Janusz Stanny (1932-2014) these lovely compositions are perfect for poetry, as they are poetry to the eye. 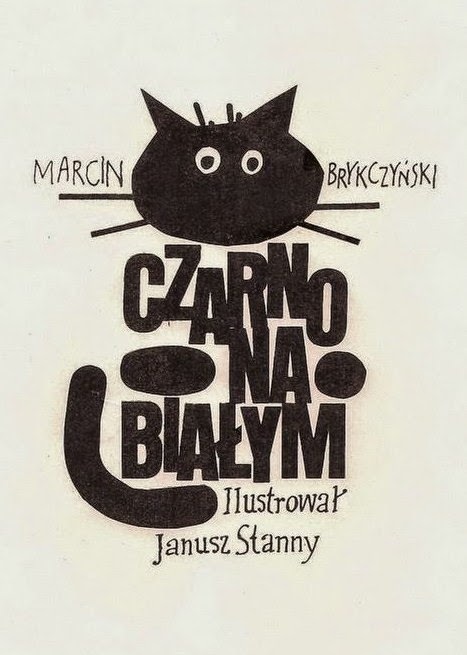 I love Janusz Stanny!! His posters are so good, and then there's all the picture books....d oyou know the one about the painter? The French title is "Le petit monde du peintre roux" ...fantastic! I did know one of the illustrations in this book Maral but I was unfamiliar with the more linear ones they are amazing. What a talented man, unfortunately he died just last year. Książka leży u mnie na półce od kilku lat. Brykczyńskiego znam i cenię od lat. To jeden z największych w Polsce poetów dla dzieci nowego pokolenia. O ilustratorze wiem niewiele, choć książkę kupiłam właśnie dla ilustracji. Czas wobec tego poznać. 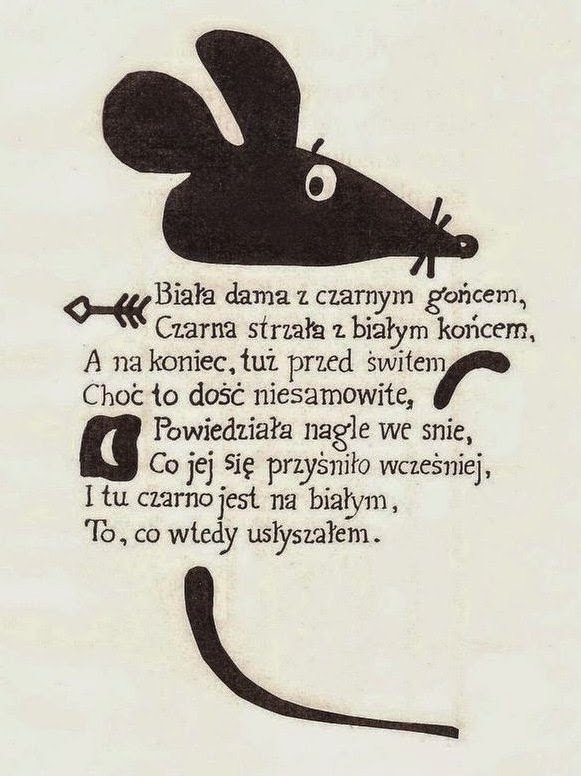 Doskonałe połączenie poeta i rysownik. Co za skarb książki. These are fabulous. 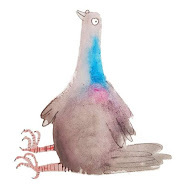 I have never heard of this illustrator. I'll have to research him a bit.